I am now an exceptionally proud first-time grandfather! 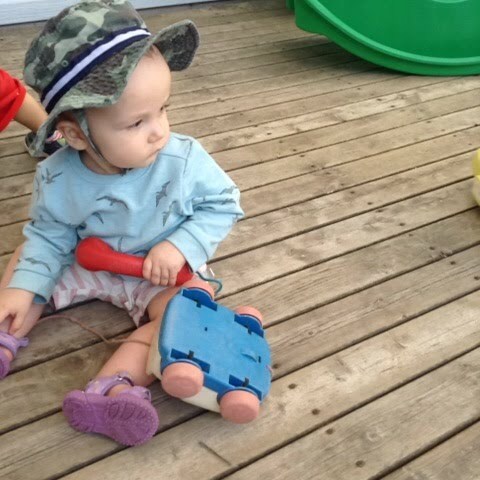 Leighton Eric Janes, in this photo in daycare, is the joy of our lives. Which got me thinking about children’s books…again. Sherry and I made sure that our children, Krista and Christopher, had a wide variety of books ever at the ready. We have squirreled many of them away, and we have already passed some of them on to our grandson. As I flip through Ol’ Swayback, I see this notation in my childish handwriting: “Burton Janes. I got it from Karen Janes. She sold it to me.” I asked sister Karen about this. “I guess I needed the money!” she quipped. Anyway, publishers, ever desirous of reviews, are wont to send me print review copies of their new books as they appear. I appreciate their largesse. In recent times, I have accumulated a pile of children’s books. I recently read all of them in one sitting – it took less than an hour. I now have something to say about them. Newfoundlander Susan Pynn Taylor appears to be a popular writer. I have two of her works, both illustrated by David Sturge of St. John’s, On Poppy’s Beach (2013) and At Nanny’s House (2015). Lisa Dalrymple is no less popular, with three of her books being part of my collection, Bubbly Troubly Polar Bear (2013), A Moose Goes a-Mummering (2014) and Double Trouble at The Rooms (2016). David Sturge illustrated one; Elizabeth Pratt (later Pratt-Wheeler) illustrated the other two. Nancy Keating wrote and helped to illustrate Yaffle’s Journey (2013), the other illustrator being her daughter Laurel. 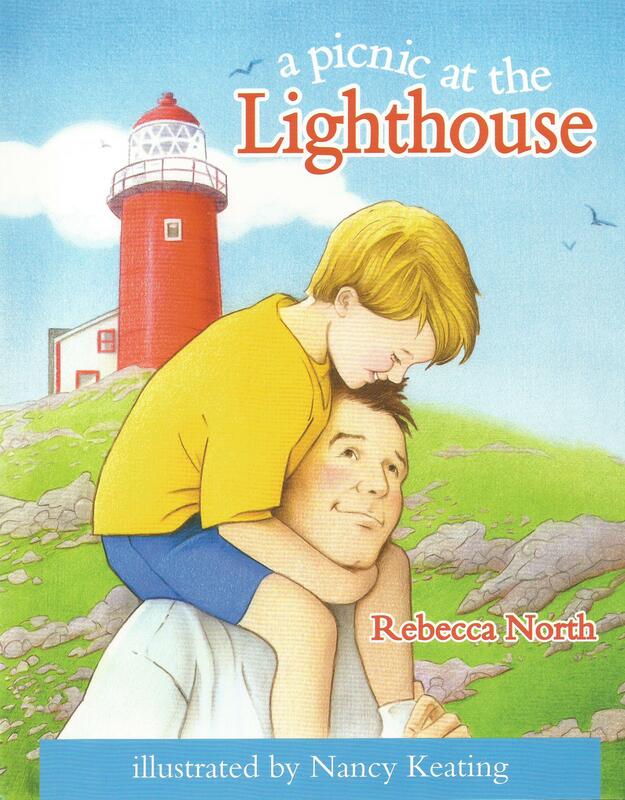 Nancy Keating has now illustrated another book, A Picnic at the Lighthouse (2016), written by Rebecca North, who lives in St. John’s. All seven books are published by Tuckamore books. George Murray, who lives in St. John’s, has written his first work for children, Wow Wow and Haw Haw (2014), illustrated by Corner Brook native Michael Pittman and published by Breakwater. Dwayne LaFitte, who currently resides in Mount Pearl, is the author of Bullet the New Steam Engine (2016). Illustrated by Therese Cilia, who currently lives in Belleville, ON, it is published by Pennywell Books. Dawn Baker is no stranger to children’s literature, having written seven books since 1992. 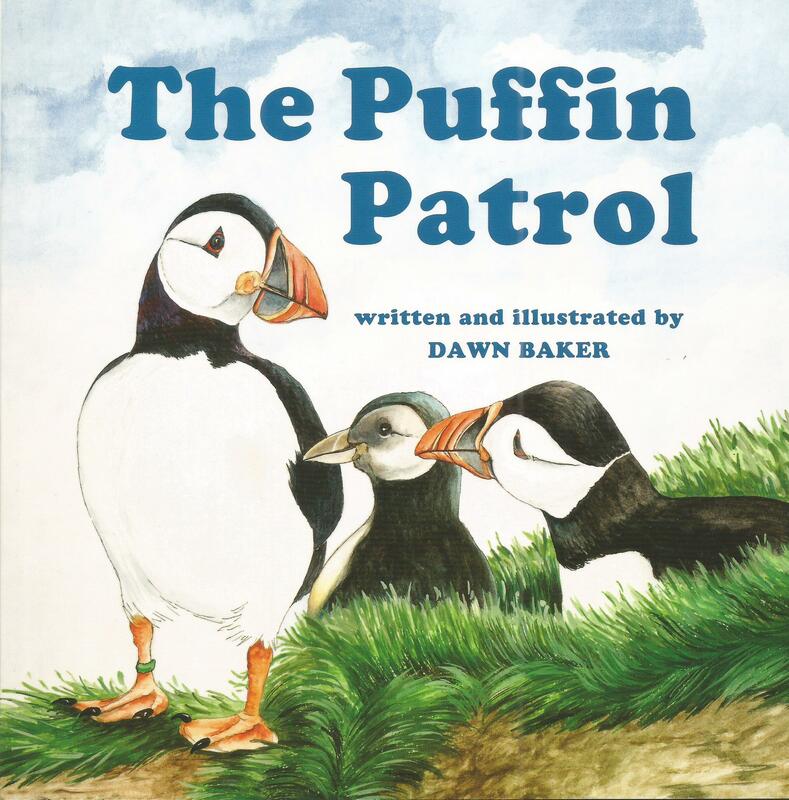 Her most recent is The Puffin Patrol (2017), also published by Pennywell Books. I have never seen puffins in person and, until I do, I will satisfy my curiosity about them by rereading Dawn’s captivating work. Alice Walsh grew up in Newfoundland but currently lives in Nova Scotia. She teamed up with Erin Bennett Banks, a New York native with Canadian roots, to produce A Change of Heart (2016), which is published by Nimbus of Nova Scotia. Finally, This I Know (2015) is Michael Pendergast’s contribution to children’s literature. His book is illustrated by Joanne Snook-Hann. It is published by Acorn Press of Prince Edward Island. The curiosities and beauties of a rural Newfoundland beach… A girl’s visit to her grandparents’ home in a traditional Newfoundland outport… An incident that happened on Bring Your Kids to Work Day involving a polar bear… A Christmas mummering story… What happens to a polar bear when there seems to be no space for him anywhere… The tale of a seagull and his ambitious plan… A fox wants to get rid of his fleas before a crow laughs herself silly… A pre-Confederation Newfoundland Railway story… A life forever changed in Newfoundland… A verse about dying… The story of a young boy and his father who spend a fun-filled day together at a lighthouse… Gary and his family experience an unforgettable holiday on the island of Newfoundland… Adventures in bird rescue. The next time we visit Leighton in Halifax, I plan to tote along with us another selection of children’s books from my personal library.